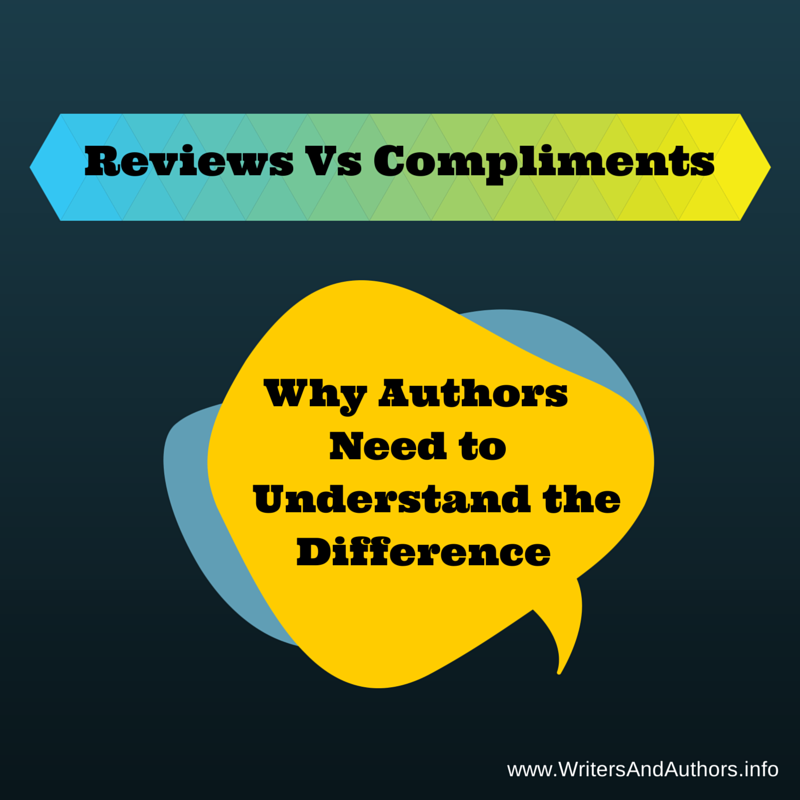 As authors we all know that reviews matter. Having readers share their feedback about our work is one of the best forms of promotional material an author can get. Reviews are powerful testimonials and can play a major role in closing the deal and turning browsers into buyers. Obviously all authors dream of only ever getting 5 star reviews that praise their work. Whilst this would be great it's not very realistic. The good news is that it's not those 5 star reviews that say "this is the best book ever" that will become your most powerful resource. Those one or two short sentences of praise are just compliments. What you want is real reader feedback. I'm not saying that compliments accompanied by a 5 star rating is a bad thing... far from it in fact. What I am saying is that if you put these compliments vs real reviews the latter will be much more useful. 1) A book has 10 5 star reviews on Amazon. All the reviews are short one liners saying "This book is good/great/awesome etc". A lot of the reviews posted are not verified purchases (meaning that the book was not purchased from Amazon). 2) Another book has a few 5 star reviews, a couple of 4 stars, and maybe a couple of 3 stars. The reviews list the things the reader liked and didn't like about the book. The reviews hint at who the book might be suitable for. At least some of the reviews show as verified purchases. Which of the above examples is better for your book? The answer is the second... and by far. Compliments boost author egos. Reviews help sell books. Know the difference. Given the rating system used by Amazon a 3 star rating means "I liked it". A 4 star is "I liked it a lot", and a 5 star rating is "it's amazing!". All of which are positive ratings. As authors we put a lot of time and effort into creating our books. In fact many authors refer to their books as their "babies". Unfortunately this often leads to the authors thinking their book is perfect. When they get a review that isn't a 5 star rating their ego steps up and they take is as a personal attack. If you can't handle feedback from readers maybe you should reconsider your career path. Authors need to have thick skin, and to remember that their book isn't for everyone. That's it for today but, as this topic is such an important one, tomorrow I'll be taking a look at what NOT to do when you get a less than perfect review. Great post. Well-written, and it also is in alignment with what I've heard as well as the outcome of a panel discussion I was on at my last sci fi con. That said, the one thing I wish is that some of those who run book lists would stop requiring 4.x averages in reviews before they post our books. As you said, a 3.0 review is a perfectly good one. A lot of book list sites require a 4+ average. I think partly to keep submissions under control, (If they set limits it makes it easier to keep their email boxes under control ;)) but also because it serves as a way of showcasing the best books. It can be frustrating (3 is a good rating) but it's a good thing really. It helps motivate us to put out the very best book we can and actively market it. As a writer, I love great reviews as well as the compliments. As a reader, when I check out the reviews on a book I'm considering, I gravitate more toward the middle-of the-road reviews rather than the top or the bottom. And when I review, I rarely give out a five star rating unless the book managed to reach deep inside and touch my soul in some manner. Thanks for your feedback L.F. As a reader I pay more attention to the mid-range reviews too. In general, they tend to be the most honest.